This incident involves cops who confront a black armed robbery suspect will certainly be lead story this week, as police did the unthinkable. Yet again, America witnesses police in action with black men. 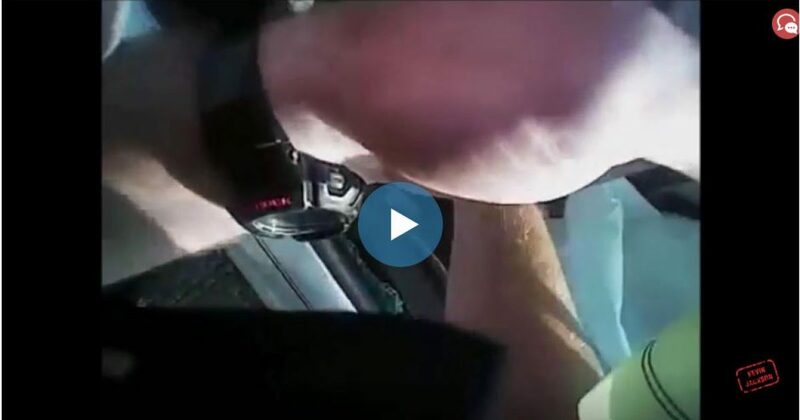 Watch the video to see how the story unfolds, as the police confront black armed robbery suspects. These officers were on the lookout for a silver Sedan with three men inside; three armed robbery suspects, to be precise. When they officers spotted the vehicle, a high speed chase ensued. While evading arrests, the suspects eventually wrecked the car on a frontage road. Once the car stopped, the men began to bail out of the vehicle, apparently to avoid being shot! One man jumped out and managed to elude police. Another escaped the vehicle into the waiting arms of officers. The third occupant wasn’t so lucky; at least not at first. As his one friend ran to temporary freedom and the other into the teeth of the law, the third suspect remained in the car; a car that was now ablaze. As the fire began to spread, the officers noticed the third suspect. He wasn’t getting out, because he was trapped in the vehicle. Talk about your “Pig in a blanket,” this brother was about to get his chestnuts roasted on an open fire. That’s when the boys in blue stepped in and saved this black armed-robbery suspect’s miserable life. The officers managed to help the suspect escape. Had they not, he would certainly have burned to death. You won’t see #BLM touting this story, or the lamestream news forcing #BLM to answer any questions around this act of bravery. #BLM won’t give awards to these officers for their heroic act. The people who support BLM won’t bother to learn the names of these officers, nor will they ever know the names of those killed in duty.